Portland has a long and esteemed history of zine publishing. So when Travel Portland launched a new campaign to promote the city last year, they stuck with a tried-and-tested format. Collaborating with local artists, Travel Portland (working with Wieden + Kennedy) produced a dynamic series of zines to introduce visitors to the unique sights Portland. PDXXL traditional tabloid photography newspaper for Travel Portland. Photography by Danielle Delph. Some of those sights are very, very big – like the 31-foot-tall statue of legendary lumberjack Paul Bunyan, built in 1959, or the giant rotating milk carton on the roof of Sunshine Dairy Foods, which opened in the 1930s. "I fell in love with the oversized objects of Portland," says local photographer Danielle Delph. "So much so, that I started photographing and posting them under the hashtag #PDXXL. The series got a lot of love from Portlanders." 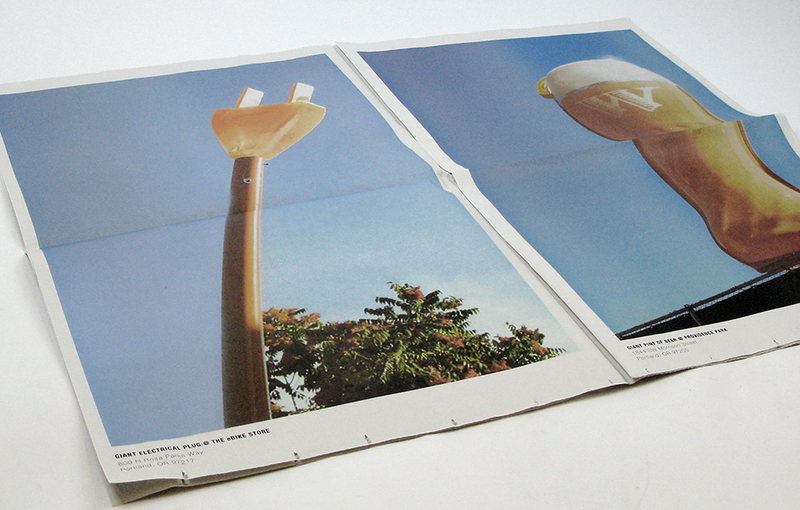 It also caught the attention of Travel Portland, who worked with Delph to collect these larger-than-life landmarks in a traditional broadsheet – our biggest format – so readers could "see them in large-format glory in an oversized zine." That includes a double-page spread of the 25-foot-long loaf of sliced bread that sits on top of Franz Bakery, established in 1906. 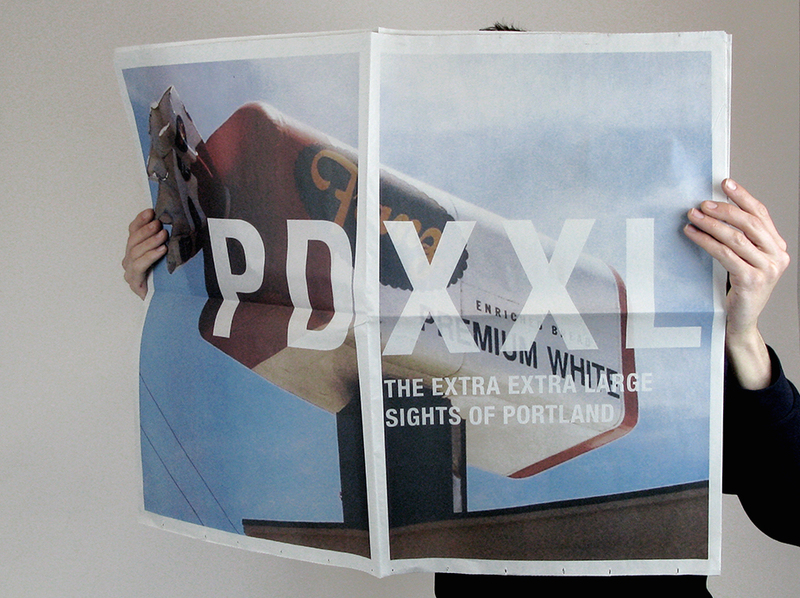 XXL: The Extra Extra Large Sights of Portland was available at select locations around Seattle, Vancouver, Bend and Eugene from November 2015–January 2016. In January and February 2016, pop-up newsstands in Seattle and Vancouver housed a rotating line-up of zines from the collection. Keep up with XXL sightings around Portland with the hashtag #PDXXL and check out the rest of the wonderful zine series produced by Travel Portland. 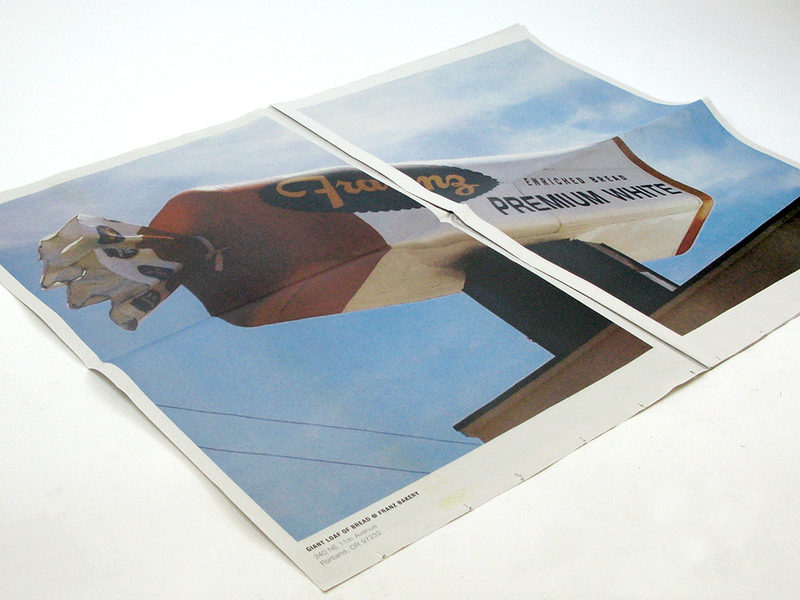 Learn more about our traditional broadsheet newspapers. Big enough to hide behind, with plenty of room to say everything you need to say. Perfect for projects, posters and proposals. 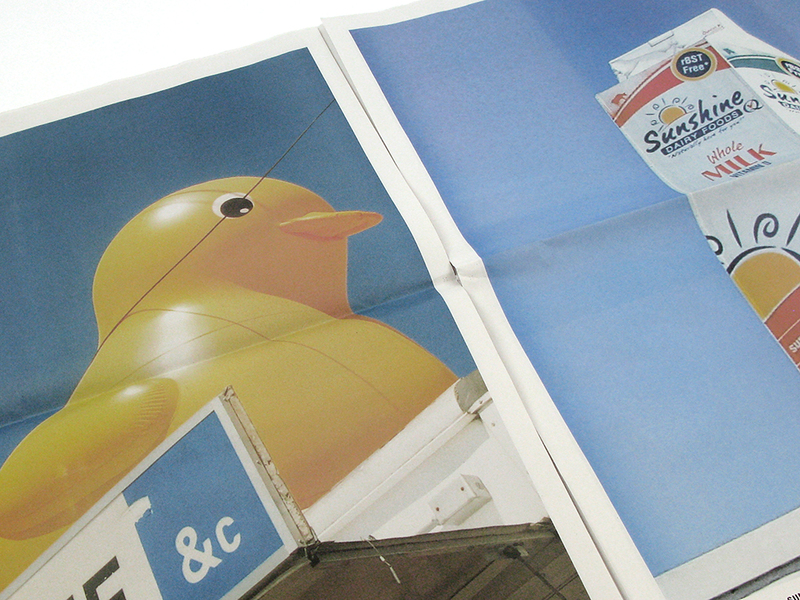 Printed on a traditional newspaper press.